More than one million people have been caught up in the worst flooding to hit the Balkans in over a century, a crisis the foreign minister likened Monday to the country's mid-1990s war. Zlatko Lagumdzija called the flood's damage "terrifying, telling a press conference that the "the physical destruction is not less than the destruction caused by the war" which ran from 1992-1995. "During the war, many people lost everything," the foreign minister said, according to Reuters. "Today, again they have nothing." 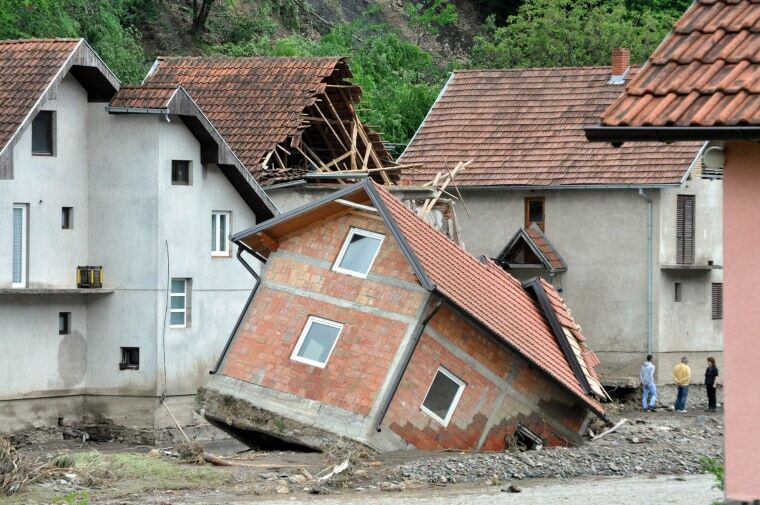 Lagumdzija said that more than 100,000 houses and other buildings were no longer usable and that around one million people had been cut off from clean water supplies, according to the news agency. The floods - the worst to hit the Balkans since modern records began - already have caused more than 3,000 landslides across the region. The area was hit by three months' rainfall fell in just three days last week. Tens of thousands of people also have been affected in Croatia and Serbia, where the extreme conditions have disturbed land mines and their warning signs left over from the war. A new wave of flooding was also threatening Serbia's largest power plant, the Nikola Tesla complex, which provides half the country's electricity, according to Reuters. Soldiers and energy workers worked through the night Sunday to build barriers of sandbags to keep the water back from the plant. Djina Trisovic, union spokeswoman at plant operator EPS, told the news agency: "The plant should be safe now. We've done all we could. Now it's in the hands of God."